Following are the components which you will find in all the good websites. These components make website look good, speed up loading and most importantly make it user friendly. The layout of a website should be consistent throughout all the pages. The header, footer, menu, side menu and colour combination should be consistent across all the pages. When a website visitor visits first time your website it creates an image of website layout in their mind. When they start visiting other pages on your website they are naturally drawn to the sections which are mapped in their mind. It’s a human nature and if the visitor doesn’t find that particular section in that particular region then it upsets them and results in leaving your website. 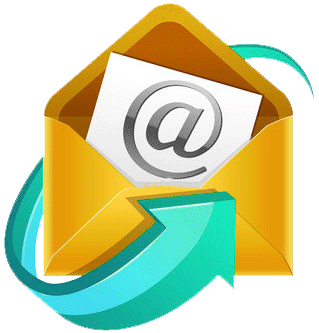 In this way you have completely missed a chance of turning a potential visitor into customer. Currently plain single colour websites are trending. 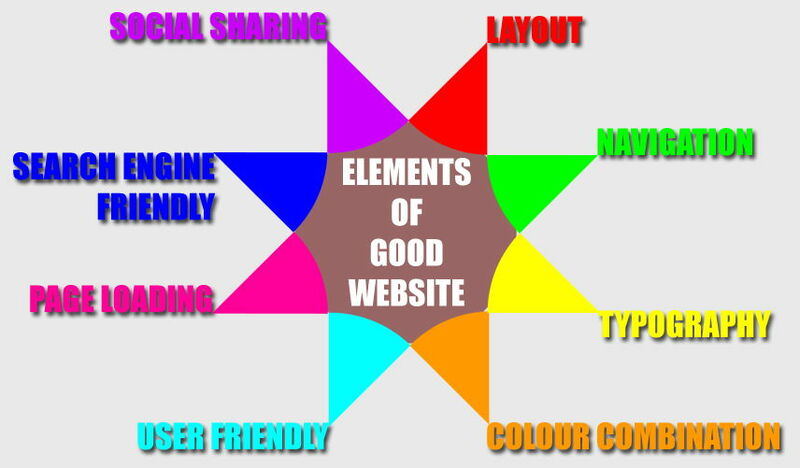 It is a personal choice whether to go for a single colour, two-colour or multicolour website theme. Well for us it all depends upon what are your target audience and products and services. For example if your target audience are kids, teenagers and your product are toys or sports good or a service about fun, enjoyment then we recommend a multicolour website. If your target audience is more matured adults and your products or services are more of corporate kind then we suggest one or two colored website theme. Even though you have matured adults as your target audience but your services or products are about fun, enjoyment or travel then one can opt for a multicolour website theme. It doesn’t matter what colour theme your website is of make sure that the text is easily readable and shouldn’t stress your eyes. Content is the king, lifeline of any website but a good selection of font is very important. A good font, appropriate font size and styling makes the content more effective. Important text which are small in length or heading should have a unique font, can be of 28px to 36px in size and you can make it italic or bold depending upon its size and looks. A regular or general content on your website can be of 12px to 16px in size as it should be easily readable on high resolution screens preferably light coloured background and dark coloured text or vice versa. Fonts with unique styling can change the look and feel of a website. Do not irritate your website visitors with continuous bombarding of pop-ups regarding subscription or sign up forms or any other forms of advertisements. A pop up at start of the website or after some time spent on the website is good but do not repeat the same over a period of time. Bombarding a website visitor with pop-ups after short interval of time will irritate and make him/her leave your website and such irritation will become a reason to not to visit the website in the future. A good website is optimised for search engines, user friendliness and page loading time. Most of the time people do mistake about making their website search engine friendly but not user friendly. As I said earlier content is the king, lifeline of your website. The content should be written for your target audience and not for search engines. Search Engines are getting more intelligent and aware about our habits and are changing accordingly. Hence write content for your users. It can be tweaked a little for search engines without losing its focus. Use meta tags, alt text wherever required. Also add twitter card and open graph tags. Loading time of your web pages is also a very important factor. If it takes too long to load then user’s will leave the website immediately or will get engage in other work and later forget to look at it and will eventually close the tab in the browser. Most of the modern web browsers accept gzip compressed pages, enable gzip compression on your server. Also modern web browsers supports caching so enable browser caching for your website and leverage its benefits by making your website load quickly. Use plugins to share your content, images on social media sites like facebook, twitter, linkedin, whatsapp, Google+ etc. Also if you have facebook page, Google+ page, LinkedIn Page or a twitter account then encourage the users to connect with you on these platforms so that they can stay tune with your regular update and you can interact and engage with them in order to provide a better web experience.